3 Easy Ways To Style The Beige Trend This Season. Beige is having a bit of a moment this season. Whether it’s due to all the Brexit woes and everyone styling it out in neutral calming tones to detract from the hullabaloo we hear every day in the news. Or whether it’s because beige is a damn fine neutral any time of the year and can come to the rescue of many a fashion faux pas thanks to its ability to deliver calming hues. This season it’s high time to embrace this inoffensive shade, so here’s my take on 3 easy ways to style the beige trend. First up, to make this trend look a little more lively, it’s time to play with textures and think about styling separates. 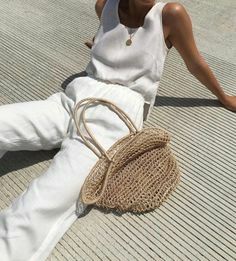 Beige can become your closet workhorse in no time – it works really well in anything from basics like tees and knits right through to more luxury items like winter coats or spring trenches. Mixing up your layers and fabrics is key to turning this trend around from bland to luxe in one fell swoop. Think cashmere layered over wool or cotton poplin pants and skirts for the office, faux furs paired with tonal tweeds or denim for the weekend and classic rich woollen coats casually thrown over velvets, brocades and silks for cocktails or date night. All Saints jacket (old), American Vintage knit (similar here), Arket jeans, Grenson sneakers, Chloe Drew bag. 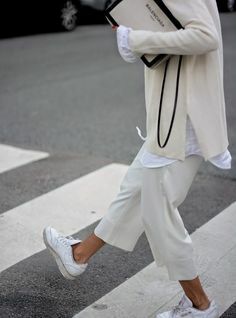 Next up, if you’re doing the top to toe thing (which is one of my fave ways to wear a colour…see more here), to avoid looking washed out, a little mixing of the tonal colour palette is called for. Although I normally advocate a monochrome vibe, in this instance if you opt for pieces in tonal shades which complement each other you will achieve a more pleasing result. Look for pieces in fawn, buff, sand, oatmeal, biscuit and camel to build a little depth into your look. If we’re talking wearing your beige on your top half, while it suits some it’s not for all. If you find it’s a colour which easily washes you out try road-testing the trend by choosing bottoms – beige denim is just landing in stores as are cute skirts in pencil, midi and maxi format. Finally, if all this talk of tonal dressing is bringing you out in a cold sweat feel free to add your normal pops of colour. Any primary colour will do this season, or opt for an on-trend pastel (more on that in our upcoming trend report next month). Beige by its very nature of being a neutral works with pretty much anything. 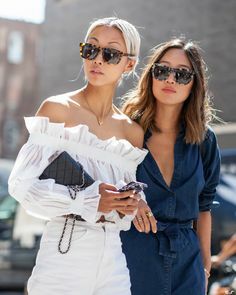 I love it with black in the winter and then normally freshen it up and pair with crisp whites once the spring rolls along. It also looks very SS19 when paired with orange, cerise or yellow. So that’s my 3 easy ways to style the beige trend this season, but where to pounce on your prey? The answer is pretty much anywhere. From high street heroes like Marks & Spencer and J.Crew for bang on trend cashmere hues, through to classic designers like Joseph, Max Mara and Filippa K who’s collections are always littered with this hue. I also love & Other Stories, Mango and Arket right now for delivering gorgeous pieces at sensible price points for the new season. It’s also worth noting that this colour will segue perfectly through to the summer season so snapping some up now will have you all set for warmer weather. Here’s a smattering of choices to get you started – click the images to shop. #AffiliateLinks used. Next Post 5 Scandi Brands to try this season.